To bring back smile in millenium of life, Chines PC giant Lenovo has unveiled it’s 4G budget smartphone, Lenovo P90 at Consumer Electronic Show (CES) in Las Vegas. Lenovo P90 featuring 5-inch display, 4000mAh battery, Intel Atom Z3560, 13-MP+5-MP Camera will launch by April priced Approx. CNY 1,299 (approx, Rs. 12,000) in Pearl White, Lava Red and Onyx Black. Lenovo has recently launched Lenovo P70 in China CNY 1,399 (approx, Rs. 14,000). The all new Lenovo P90 supports Single-SIM(MicroSIM), 4GLTE, 3G, GPRS/ EDGE, Wi-Fi 802.11 b/g/n, GPS/ A-GPS, Micro-USB, and Bluetooth with Speed: LTE 150Mbps (DL) / 50Mbps (UL) powered by a Intel Atom Z3560 chipset with a 1.83 quad-core processor and Android OS, v4.4.2 KitKat (upgradable to Android 5.0 Lollipop) with 2 GB RAM, 32GB ROM and 64GB external memory promising superior multitasking and immersive game environments. 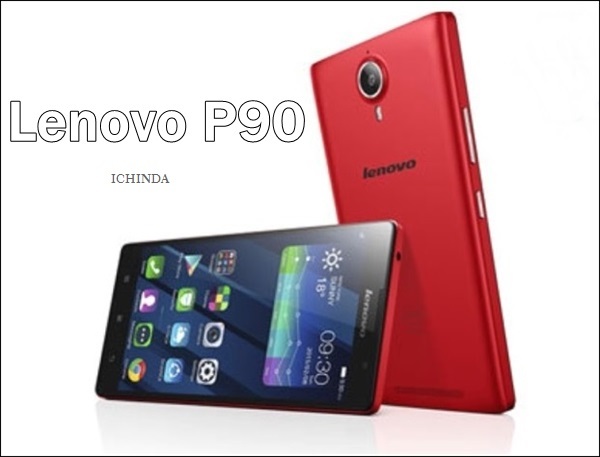 Lenovo P90 comes with a bigger 5-inch (720×1280 pixels) IPS LCD display with a pixel density of 401ppi offers stunning color consistency from almost any angle capability perfect for watching movies, playing games, reading e-books while a 13-MP auto Focus Rear camera with Dual-LED flash perfect for low light photography and 5-MP front camera for clicking seflies and making video call. Lenovo P90 never let you down because of it’s powerful 4000mAh battery with Quick Charge feature promising 4 hours talk time in 15 minute charging. It also promising Talk Time: Up to 46 hours (2G), 18 hours (3G), (Note: 4G voice not supported) and Standby Time: Up to 34 days (2G), 29 days (3G), 30.5 days (4G) and measures 150 x 77.4 x 8.5 mm and weight 156gm while new Waves MaxxAudio sound system is perfect for listening music. At last few honest word, Lenovo P90 is the best smartphone in affordable price. What you think? Please be open to give your view.